Our last Safety Seminar was a big success, with over 20 pilots attending. So, we're planning to hold another seminar on May 31, 6:30pm. 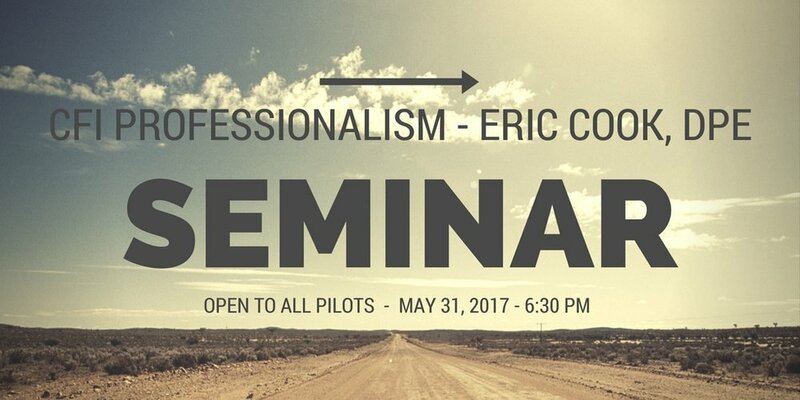 The topic will be "CFI Professionalism" and be presented by Eric Cook, DPE. It is open to all pilots, not just CFIs! This seminar will be eligible for WINGS credits (sign up below). Location: SunWest Aviation, CFI Classroom, 835 Airport Drive, San Luis Obispo. Plenty of parking. Just in case you were not aware, we have planes for rent, and flight instructors available at our Santa Ynez location. Please take a peek at the article below, printed in both the Lompoc Record, and the AOPA Newsletter. Santa Ynez is also the base of our charter operation, so if you and up to five of your closest friends would like a non-stop flight throughout the Southwest, then look no further then SunWest!